What is Microsoft’s Fluent Design System? Building websites for several years has given us an appreciation for the time and effort it takes to create beautiful work. We also understand the value of using themes & templates to kickstart the design & development process. 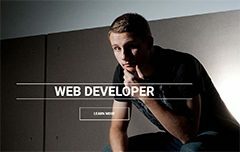 Bootstrap Themes, Partially Rights Reserved. Want more Free Bootstrap themes & templates? We Design and collect high-quality Free Bootstrap templates and resources for you. Without subscriptions, you will miss all the future Freebies.